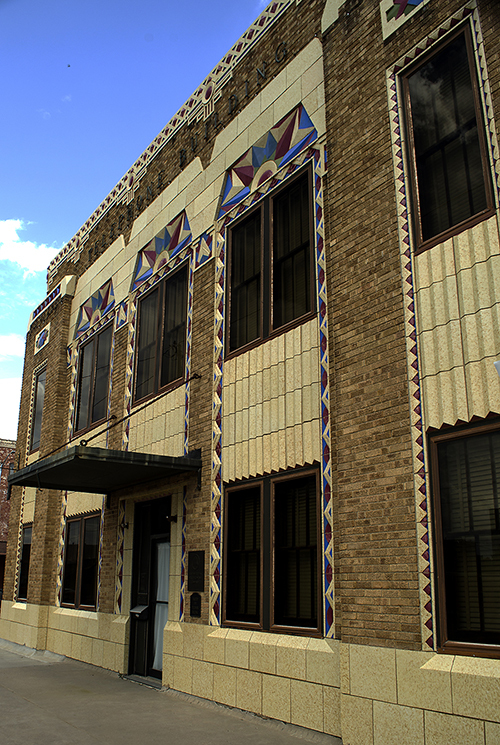 Goodland's United Telephone Building, an Art Deco masterpiece, was built in 1931. At that time, Goodland's exchange had more than 1,000 telephones and the system was overloaded. Goodland officials approached the telephone company, asking for up-to-date equipment. The telephone company chose their site on the corner of 10th and Main after their engineers determined that location would be closest to the "wire center", the point where the most economical wire network would start. The company installed the Stowger No. 30, which was the state's fourth dial exchange. Previously, all calls had to pass through a central operator. 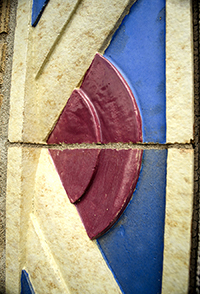 Since Goodland sits on the Western plains, Colby Hamilton, Superintendent of Equipment for United Telephone, chose to use a Native American motif for the new building. The terra cotta panels and borders were patterned after Aztec artwork. The colored tiles outline all the windows, doors and the roof line, with sunburst patterns above the upper windows. A zigzag pattern separates the rows of windows. United Telephone merged with Southwestern Bell in 1937. Telephone mechanical equipment was removed in 1957 and the building is no longer open to the public. More interesting experiences are less than a block away. History of the Opera House mural is across Main Street and the old First National Bank Building, site of the armed climax to the County Seat Fight, stands one block to the south. 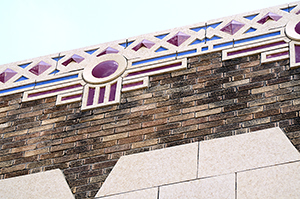 For more Art Deco treasures, see Sherman County Courthouse and Goodland High School.